Buy Generic Adipex Online It’s going to be a good year for Dial. The eclectic label from Hamburg is celebrating its tenth anniversary in style with a bunch of great quality releases. Back in January, it took me very few listens to appreciate Pawel, Paul Kominek’s first long player recorded under his Pawel moniker. Kominek, one of three label manager friends, stunned many with his collection of electronic minimalism, good for home listening and groovy on the dance floor. I played the record over and over for months, most recently in my car while driving to the Sonar festival in A Coruña a few weeks ago. Warm organ chords, obsessive marimbas, and bass pulses unveil raveling melodies. “Pawel” has it all. http://charlotteskitchendiary.com/recipe-index/ In March, Dial published 2010, their tenth anniversary compilation, with a distinctive collection of tracks from the label’s regular hosts: Isolée, Pantha du Prince, Phantom Ghost, and Efdemin, to name a few. And while Pantha du Prince left to join the former “indie-rock-music-only” Rough Trade, Efdemin has reinforced his trust on Dial, recently publishing Chicago, the follow-up to his Efdemin, dated 2007.
http://charlotteskitchendiary.com/tag/merchant-hotel/ Chicago is a harmonious album that defies easy categorization. It is dance floor narrative; it is nocturnal house music; it is soul-striking deepness; it is electronic architecture (take a look at the sepia-hued photographs of Chicago’s modernist buildings in the video for “There Will Be Singing”). 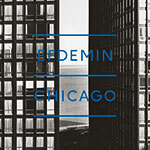 Efdemin’s main achievement in “Chicago” is to blend beat-driven tracks with jazzy uptempos, creating an organic soundscape that is both avant-garde and functional, just like a Mies van der Rohe building. After this release, and with many months ’til the end of the year, things can only get better for Dial. Let’s cross our fingers and hope for some other quality releases from Hamburg’s label, so far often underestimated by the electronic music community despite its excellence and longevity. Haven’t yet heard the album but these words really are pushing me to do it.